IKEA, the Swedish furniture retailer IKEA, has launched a new wireless “Home Smart” mobile device range which is easy to use and can even charge some cell phone devices without wireless as well. The collection will include such things as desks, lamps, bedroom tables, and more that will seamlessly blend into the design of any room in the house. This new furniture is scheduled to be on the showroom floors across America and Europe sometime in April. How can they charge phones without wires? It is done by a method that is called energy induction transfer. Don’t be fooled though, the furniture itself will need to be plugged in; it’s just the cell phone itself that will charge wirelessly. 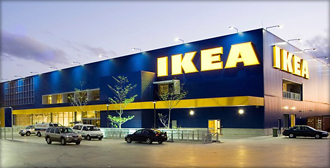 As is the tradition with IKEA and their low prices, the customers will have to put the furniture together themselves. IKEA believes that it should stay in touch with current trends and people seem to have an overwhelmingly strong desire to stay connected. It is a similar move to what Google made last year when they acquired the sophisticated smoke alarm and thermostat company Nest Labs. When these so called ‘Giants’ start getting involved in non-standard technologies you can pretty much rest assured that they will become the next big thing. Is a New Drachma on the Horizon for Greece?